What does walking with the excluded mean for us? It means walking alongside the vulnerable, no matter where they might be: Syria, Africa, America… or Brussels. It means spending our time, resources and effort with those whom society considers worthless. That is why we organised, along with other Christian organizations, a conference at the Chapel for Europe with two members of the European Parliament to debate social inclusion, the refugee crisis, climate change, youth unemployment, and just trade relations with Africa. None of these issues has a simple solution. Therefore we want to be directly engaged in promoting good practice before solutions on a political level might be found. And we need to do this together with many others. Our own lifestyle often does not help us cultivate closeness with the poor. This is a challenge that was discussed at the annual meeting of the European Social Apostolate and Formation Delegates. This year social delegates met in Falenica, Warsaw, from March 31 to April 3 along with the Jesuits working in the Formation sector all over Europe and the Near East. It was described as a “historical meeting.” We learned from one another that we can carry out our mission much better when we live and work together. Solutions to our apostolic works and lifestyles, as well as our need for conversion, can be inspired by the way Jesuits are formed in their early years in the Society: they study, they live and work with the poor, they pray and they discern together. The Four Universal Apostolic Preferences give us a formula to carry out such mission by hearing the cries of the poor and the planet, and then actively tend to their needs. We also take you to Washington DC, where Ted Penton SJ advocates for Mexican deported migrants with US congressmen. 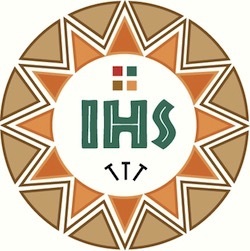 And we want to share the call for solidarity made by the Jesuit Relief Fund to help thousands of people affected by Cyclone Idai. Love keeps going and going – challenging the huge problems facing us in misery, prejudice and loneliness. This Love tells us we will produce abundant fruit only when being and working together. Enjoy this edition of Just talk. Blessed Holy Triduum to all.